So yummy and so chewy - and so easy to make. Yes, Chef Boy's Crab Cakes are to-die-for. 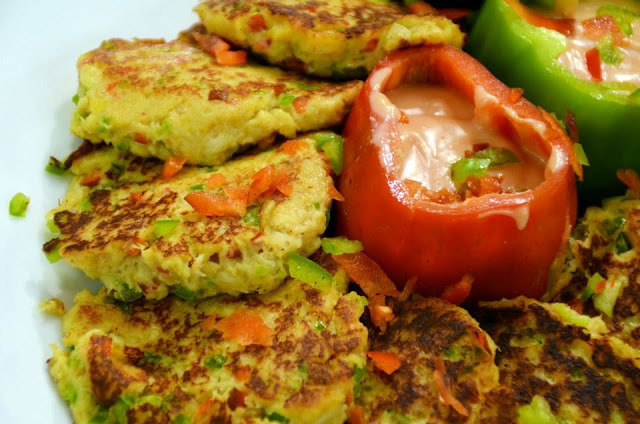 One good idea is to store the crab cake patties in the fridge and whenever your child ambles along with some friends, just throw and a few into the frying pan and they'll love you forever. 1. In a large bowl, mix together all ingredients, except for the flour and peanut oil. Shape into patties and dust with flour. 2. Heat oil in a large skillet over medium heat. When oil is hot, carefully place crab cakes, in batches, in pan and fry until browned, about 4 to 5 minutes. 3. Carefully flip crab cakes and fry on other side until golden brown, about 4 minutes. Serve warm with preferred sauce.